ALMOST every canal bank in Holland, the land of canals and dykes, is a prospective theatre auditorium for the operators of a floating motion picture theatre. 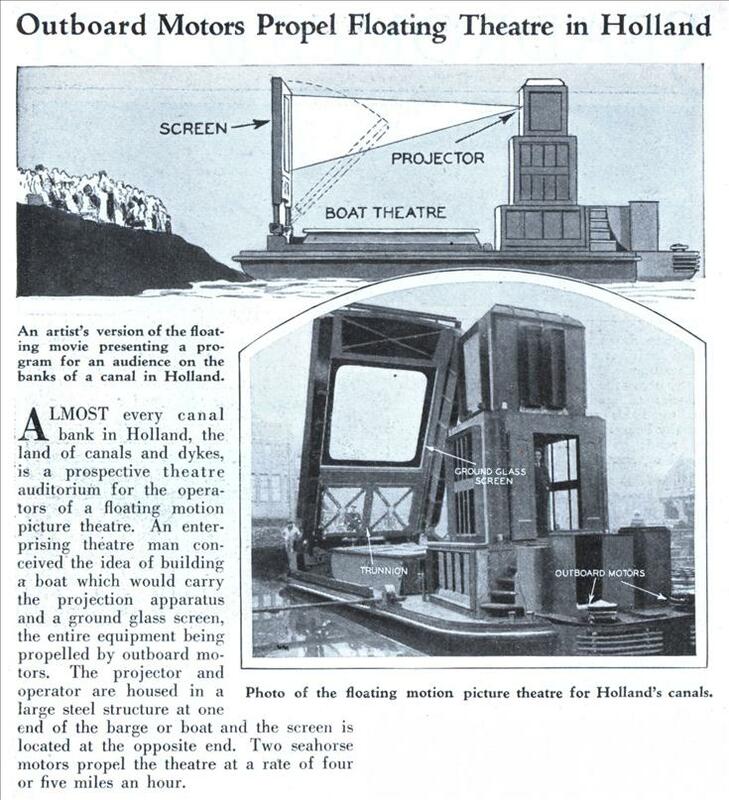 An enterprising theatre man conceived the idea of building a boat which would carry the projection apparatus and a ground glass screen, the entire equipment being propelled by outboard motors. The projector and operator are housed in a large steel structure at one end of the barge or boat and the screen is located at the opposite end. Two seahorse motors propel the theatre at a rate of four or five miles an hour. Richard M. Hollingshead, Jr., came up with the idea of the drive in theater in 1928. 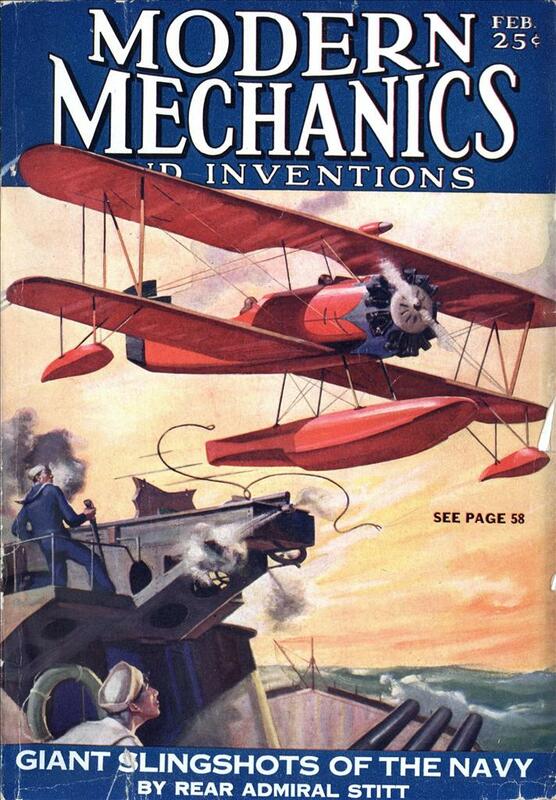 In 1932, he built the first one in Pennsauken, NJ. Better than the boat idea. @carlm: not when you live in a country where there are lots of canals and few cars, as pre-War Holland would have been.